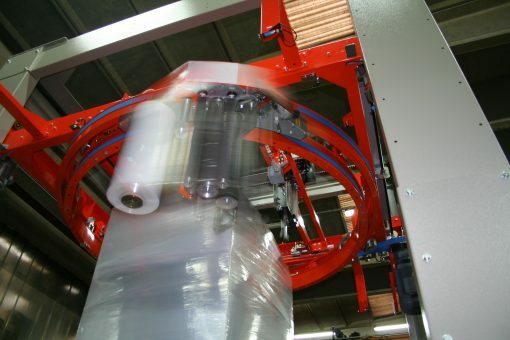 The principle of the ring, allows to execute the wrapping cycle without any movement of the pallet load and, by consequence, does not endanger the quality and the stability of the pallet load, while guaranteeing important production capacities. 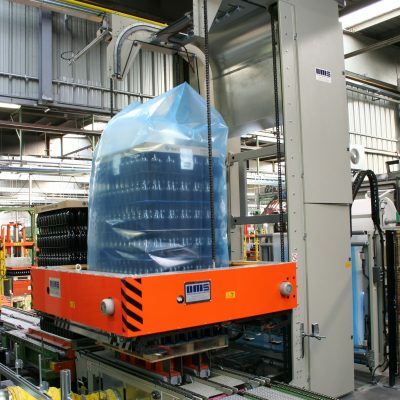 Possibility to start and stop the wrapping cycle at any height of the pallet load, allowing specific wrapping programs. Exclusive and patented pre-stretch unit driven by the movement of the external ring. 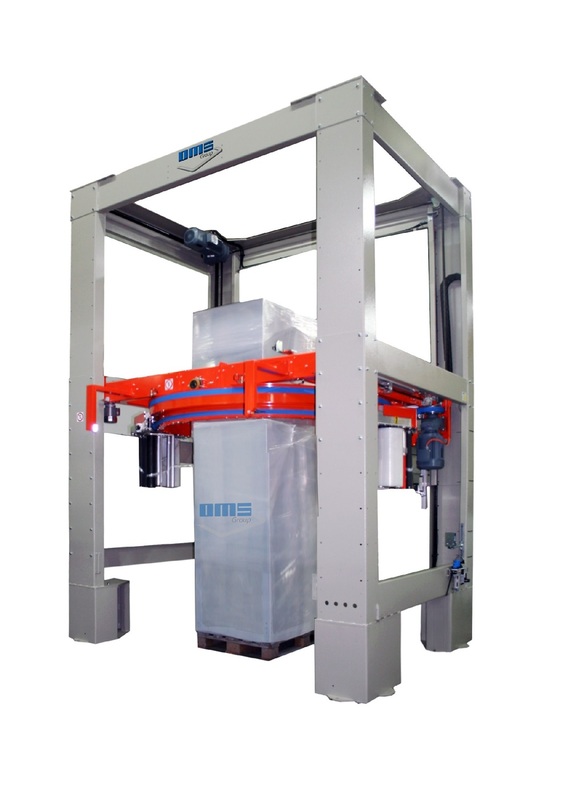 This inventive and unique device guarantees a high pre-stretch ratio and an adaptive force to load, without any use of an additional motor or any electrical contact through slip rings. 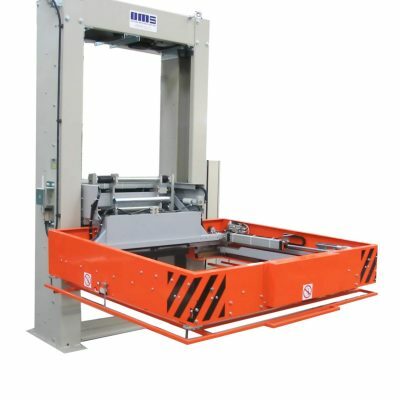 The result is a very big simplicity and flexibility of the system, as well as a largely increased reliability in comparison to other existing devices. 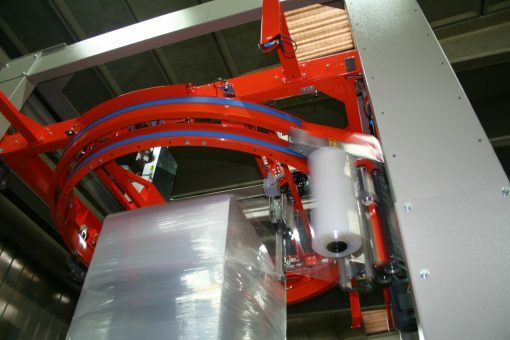 No welding but an exclusive & patented film clamping, cutting and fixing unit, using the so called “tuck under” principle, where the film end is securely pulled underneath the previous film wrap. 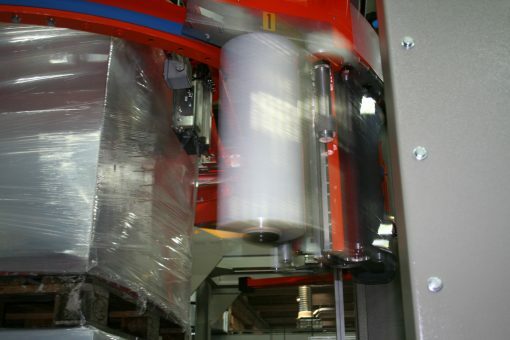 This avoids any risk of having the film getting unwrapped due to a hazardous brushing or welding and guarantees a perfect finishing without loose hanging film tails, independently of the quality of the film, the pallet dimensions, the load configuration or the pallet positioning. 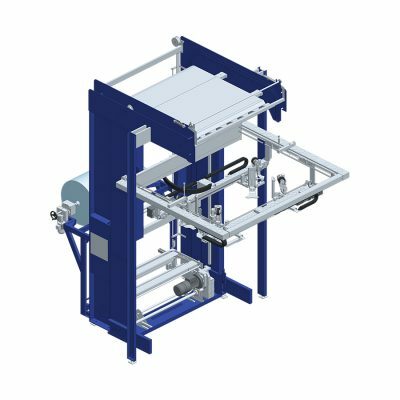 Telescopic machine structure allowing an easy height adjustment according to maximum pallet loads to be wrapped.